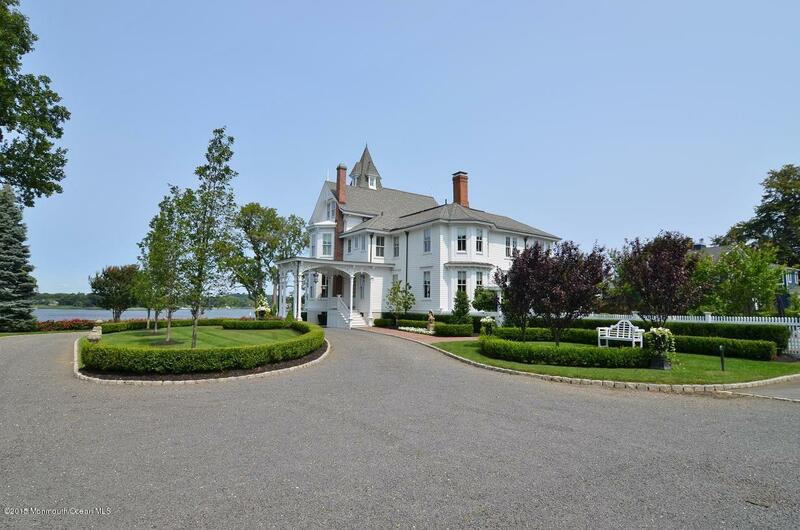 ''Mirimar'' Stately and sophisticated, this beautiful Victorian sits high on the Navesink River offering majestic views and stunning sunsets. Flawlessly designed and renovated to today's highest standards, this home affords spacious and bright living spaces preserving the beauty of the past infused with contemporary innovation. Featuring unparalleled architectural detail, 10' ceilings, gorgeous inlayed hardwood floors, well appointed gourmet kitchen and marble baths. An elegant wrap around porch and swimming pool courtyard provide a perfect setting for entertaining and relaxing, enjoying all the Navesink River has to offer. All this set on one manicured acres with 165' bulkhead and deeded riparian grant. I would like more information about 45 N Prospect Avenue in Red Bank.